I'm in the final stretch. And honey, I mean stretch. Looking at myself right before I get in the shower is one of the weirdest things I can say I've experienced. I can still see my small rib and hip frame under this big belly, and if I lift my arms up, it looks like I strapped on a fake belly. This weird, soccer-ball sized belly holding a little baby boy, just kind of hanging off my normal-sized body. And I'll tell you something. As much as I love being pregnant, feeling him move, supporting and making a life, being ultimately feminine... I just can't wait to be back in my old clothes. Seriously, I've been down to five pairs of maternity pants and about 7 t-shirts, 5 of which are striped, 6 of which are v-necked (basically, they're all the same). My outfit rotation is extremely limited. I'm looking forward to using clothing as an expressive outlet again. Also, I'm looking forward to Fall, when my body will be [mostly] back to normal and I can start layering clothing. 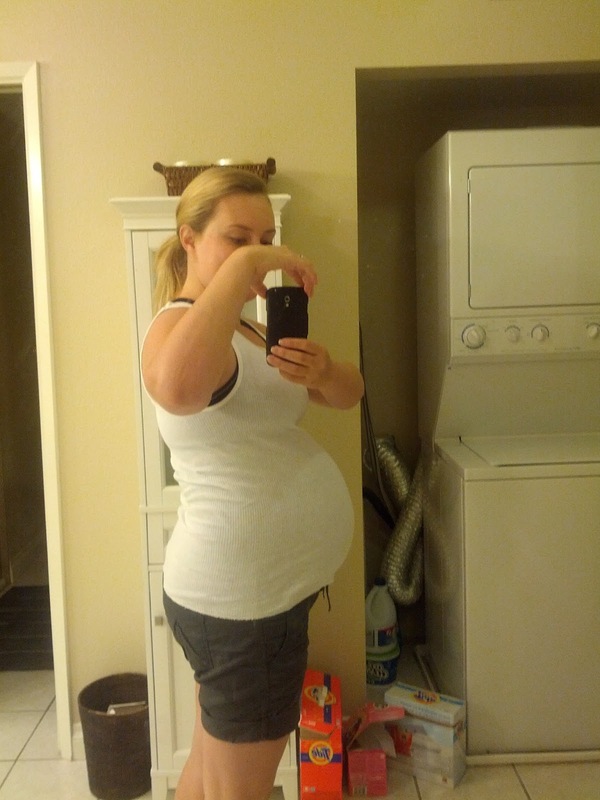 This baby bump does not allow more than one single layer. Unless there's June/July gloom, then maybe two layers. Hope you all have a great 4th of July and weekend! I've got a baby shower coming up, so I know I'll be having fun.